Deciding which TV provider service to use can be difficult if you live in an area with a lot of options. Most satellite and cable services can be quite pricey and may not be worth the money if you don’t watch a lot of TV or you don’t want a lot of channels. Some people are turning to streaming services but those can also carry a high monthly price tag. There is another option out there for those seeking a cheap way to watch local TV channels. 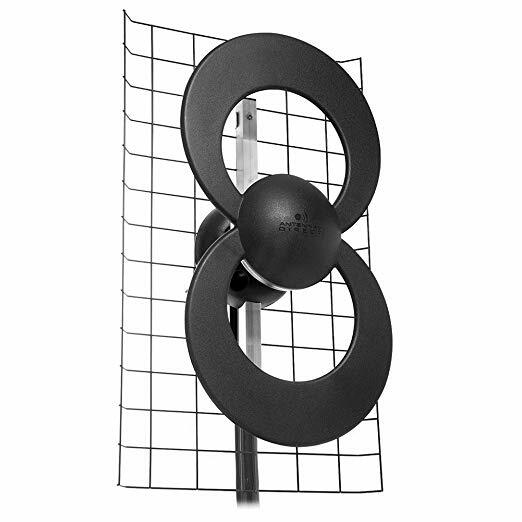 An outdoor HDTV antenna can get a signal from channels located in your area. 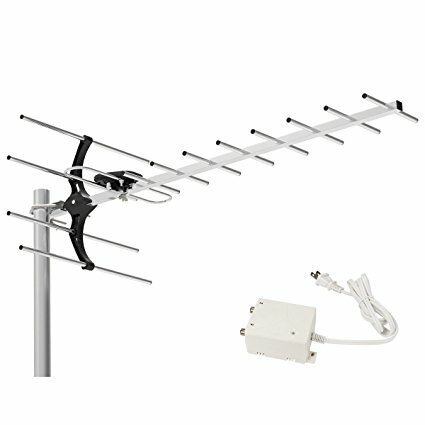 These antennas are easy to use and very affordable when compared to monthly TV services. An HDTV antenna is designed to connect to your TV so it can get signals from those HD channels in your area. The number of channels you can receive will depend on the area in which you live. These antennas are not like the old-fashioned antennas that were bulky and had to be installed in an area with a lot of space for use. Most of the latest outdoor HDTV antennas are quite compact and don’t require much space. They are designed to be installed in an area where you can get a clear signal. Installation is usually quite easy and doesn’t require any specialized tools or knowledge. Choosing the best outdoor HDTV antenna will depend on your specific needs and budget. 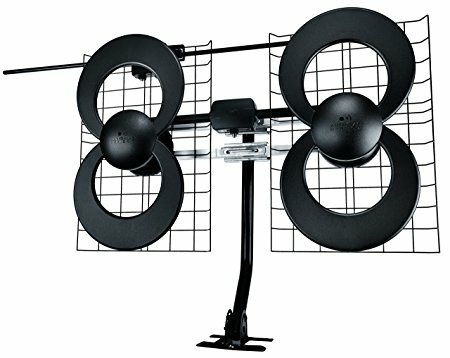 The following is a list of the 10 best outdoor HDTV antennas based on reviews by consumer report. 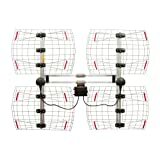 The Channel Master Digital Advantage 45 Directional Outdoor TV Antenna is available in a 45 mile, 60 mile, or 100 mile range. It comes pre-assembled and is fairly easy to install outdoors in your yard. This antenna also includes hardware for installation. This digital outdoor antenna from Channel Master is designed to pick up local signals, including high definition channels. It’s ideal for those who want a simple way to watch TV at home without having to pay for a TV service. This outdoor antenna from Channel Master comes in 3 different options based on its mileage reception range. It comes with installation hardware and is already assembled when shipped to you. It can pick up UHF and HD signals to give you plenty of viewing options. 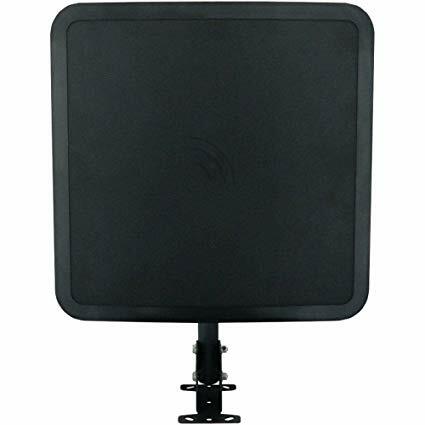 The Winegard FlatWave Air FL6550A outdoor antenna is compact and ideal for use in areas where you can’t use a larger antenna. It has a flat shape and is relatively lightweight which makes it easy to install wherever you need it. This outdoor antenna from Winegard has a range of up to 60 miles. It has a unique design that was made to replace the old-fashioned large and bulky outdoor antennas. It’s not as noticeable as larger antennae and is also easier to install. This compact outdoor antenna can be installed outside your home in inside your attic. It is designed to receive HD channels from up to 60 miles from your home. This unit is easy to install and is not large and noticeable on the outside of your home. The ViewTV DA-290 HCTv antenna can be used indoors or outdoors. This unit is designed to be installed on your roof or inside your attic if you have the space. It has a compact design when compared to many outdoor antennas. 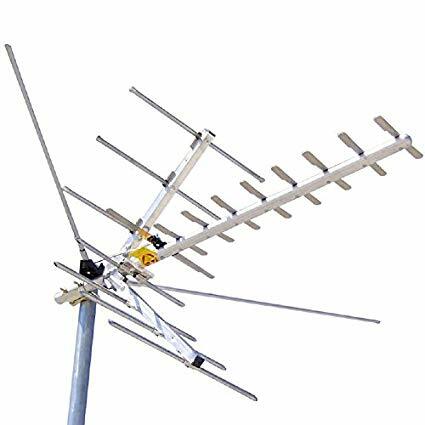 This antenna from ViewTV is ideal for anyone looking for a functional and budget-friendly outdoor antenna to help with receiving local HD channels. It has a reception range of up to 80 miles which is considerably father than many comparably priced antennae. 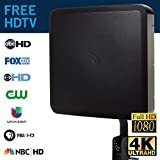 This indoor or outdoor antenna from ViewTV gives you many options for viewing HD and non-HD channels. It has a range of up to 80 miles. This antenna comes mostly pre-assembled and is relatively easy to install with a mounting pole that can be purchased separately. 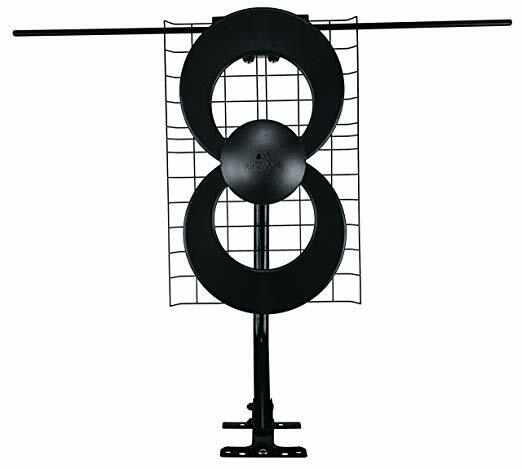 The ANTENNAS DIRECT 8 Element Bowtie HDTV antenna can be installed inside your home or outside. It’s available in several different range options including the featured 70 mile range. This antenna is the most powerful bowtie option available of its kind. This bowtie design antenna allows you to receive many of the local network stations in your area without paying for cable or satellite. It includes the DB8e antenna, mounting hardware, and instructions for mounting the unit inside or outside. antenna comes with mounting hardware for convenience. 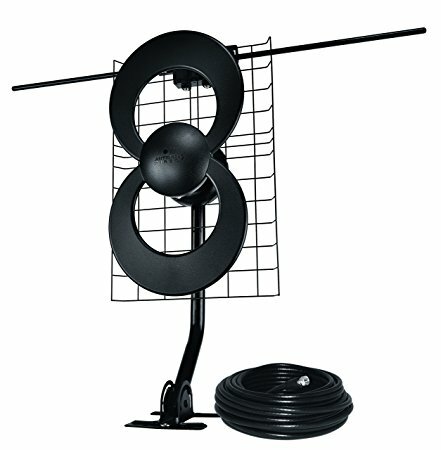 This antenna from Antennas Direct has a unique design that gives it great reception, even in rural areas. It comes in several different reception range options. The antenna includes the hardware needed for mounting and it can be installed indoors or outdoors. The Antennas Direct ClearStream 2 antenna can be installed indoors or outdoors. This digital TV antenna provides a gain of 10.2 dBi with consistent gain through the entire channel spectrum, including HD channels. This antenna from Antennas Direct has a smaller size than many options with a comparable range. It can get TV signals from up to 50 miles away. It works well for installation on the outside of your home but can also be installed inside your attic. This compact and lightweight antenna from Antennas Direct is ideal for use where you have channel options within a 50 mile range. The antenna includes the hardware needed for installation. You can put it inside your attic or install it outside on your roof. The 1byone 150 Miles Digital Amplified antenna is designed for indoor or outdoor usage. 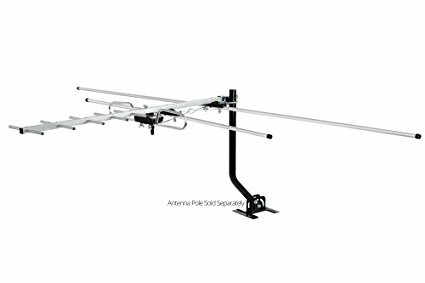 This antenna has a large reception range which makes it ideal for those who live in a rural area where they need a wider range to get more channel options. This antenna from 1byone is easy to use. It can be connected to your TV using a coax cable. 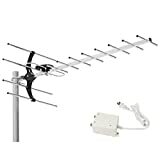 The antenna is quite large compared to some other options which is why it’s able to have a larger reception range to get more free channels for viewing. This outdoor antenna from 1byone is designed to be installed on the outside of your house to get a reception range of up to 150 miles. It includes the hardware for installation and instructions to help you install and use the antenna. 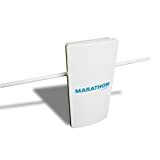 The Free Signal TV Marathon antenna can be installed inside or outside your home. This whole house antenna has a wide reception range to give you many options when it comes to HD and standard channels you can watch for free. This whole house antenna from Free Signal TV has a compact design so you can install it indoors or outdoors without needing a lot of space. It can hook into existing cable wiring so you can have free standard and HD channels throughout your home. The ClearStream 2V HDTV Antenna can be used indoors or outdoors. It has a 60 mile range and it includes a cable to connect with your TV. This antenna has a compact design that can fit in smaller places than traditional style antennas. This antenna from Antennas Direct is one of the best rated among antennas with a similar reception range. It allows you to receive many of the most popular networks for free without paying for expensive cable or satellite services. This antenna from Antennas Direct has a 60 mile range and is designed to work in conditions where other antennas may fail. It includes the mounting pole and the 30 foot cable for connecting to your TV. The antenna can be installed inside or outside your home. The ClearStream 4V Indoor/Outdoor HDTV Antenna from Antennas Direct includes the mount so you can install the unit inside or outside your home. It has a wider range than some other antennas available and has a larger size to get clear signals in your area. This antenna from Antennas Direct is rated as one of the best performers in the 70-mile range antennas on the market. You can use this antenna to get many popular networks like NBC, ABC, CBS, and other channels in standard format or HD. This antenna from Antennas Direct has a range of 70 miles. It has technology that allows it to get reception in areas where other antennas would struggle. It comes with the 20″ mount and the hardware you need to mount the unit inside or outside. The ClearStream 2V HDTV Antenna from Antennas Direct includes the mount needed to install this unit inside or outside your home. This antenna has a slim profile that makes it easy to put in your attic or other area where space is limited. This antenna from Antennas Direct has a 60 mile range so you can access local networks and other channels without having to pay for cable or satellite services. It has one of the best ratings in its class for antennas with a 60 mile range. This indoor/outdoor antenna from Antennas Direct is easy to install and has a slim design so you can put it in areas where space is limited. It comes with the hardware and mount needed for installation. The 60 mile range gives you lots of options for watching channels in your area. An outdoor antenna gives you the option to easily install the unit on the exterior of your home so you can receive local channels. Antennas that are designed for use with HD channels can allow you to watch sporting events, network shows, and other entertainment without having to pay for cable or satellite service. Many people are opting out of subscription TV services to save money and using an outdoor HD antenna is a great alternative to those types of services. When choosing an antenna for use in your home it’s important to consider the range of the unit. If you live in a remote area you’ll want to choose an antenna with a longer range compared to those who live in a more urban setting. It’s helpful to read online consumer reviews to help you choose the best outdoor HDTV antenna to meet your needs.